Bedwetting can be truly a disruption during the night. Not only does the bedding and clothes need to be changed, but you usually end up waking up the child enough that they are then awake. It is very disruptive to their routine. Bed wetting alarms have been designed and proven to work very well. The devices have sensors that wake the user up when moisture is detected. This prompts them to then wake up and use the bathroom. In many children, it stops them from fully wetting the bed and allows the brain to then ‘learn’ to wake up to use the bathroom. We have created a list of the best bedwetting alarms on the market. This list is compiled of different styles and brands, but for all the same reason. Bedwetting can be controlled and trained. These alarms are proven to help train the user to be able to get up use the bathroom preventing the bedwetting accident itself. This list has been updated and lists the most update to date devices on the market. With almost 2,000 reviews online from customers just like you, this is a leading product to stop bedwetting in children. This great company has been making and selling these alarms since 1979. It has the lowest cost and the highest quality of bedwetting solutions worldwide says the manufacturer. The Wet Stop3 comes with a sticker reward program, reward chart, a downloadable book called The Complete Bedwetting Book, and instructions readable in six different languages. It includes six various alarm tones to provide variation for the child because they could get used to the same tone and not adhere to it to get up. 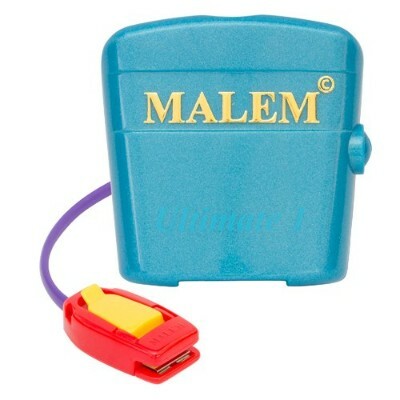 This excellent bedwetting alarm has a vibrating alarm that is strong enough to be used with or without the sound alarm. It makes the child aware that he or she must get up and go to the bathroom to finish urinating. This is the loudest alarm allowed legally, and it is registered with the FDA. Easy to operate and wear with a sensor that is simple to clean, compact, and lightweight, this beneficial alarm is doctor recommended and designed. The sensor attaches to the outside of the underwear and the alarm is fastened to the arm. It works for both girls and boys well and helps even deep sleepers without the use of any medications. This fabulous manufacturer has been making and selling these bedwetting alarms since 1979, so they know a thing or two about bedwetting and what works to stop it. They have been helping kids for a few generations now. The downloadable book is an amazing accessory with this bedwetting alarm. Parents can learn all about the device and get some helpful tips and hints on how to help their child with bedwetting. The price of this item is half of the average cost. The great value is derived from the long reputation of the creator, the multiple alarms sounds, the downloadable book, and the multi-language instructions. Created for deep sleepers, this remarkable bedwetting alarm will detect the beginnings of urine accidents accurately every night. 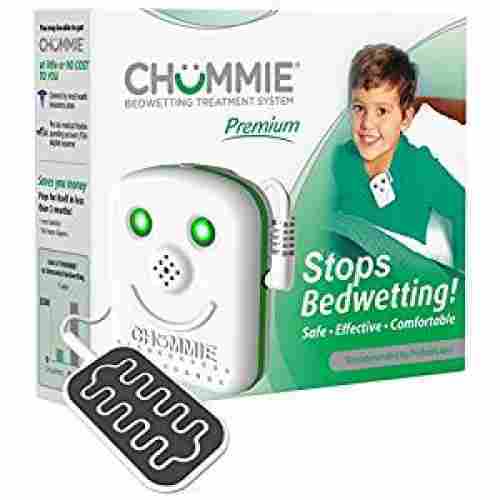 The Chummie Bedwetting Alarm includes eight various alarm tones that are selectable, vibration settings, volume control, and a couple of bright lights that will awaken heavy sleepers. It is a silicon sensor that is soft and larger than most other sensors to pick up the slightest wetness. Because it is so sensitive, accidents will not occur anymore. This gentle sensor will not poke the child and is comfortable to wear. It has rounded edges for the best fit and will never corrode or have a loss of effectiveness because the metal parts are not exposed. After use, the sensor is ready to reuse in just thirty seconds. Just rinse with warm water and it is ready to use again. This marvelous product stops the bedwetting problem permanently and is available in three great colors. It comes with a free app for tips, answered questions, videos, and support, plus is lightweight and clips to the child’s nightshirt. The alarm has a cute animated face with the lights as the eyes and the nose as the speaker for the alarm. The sensor part of this alarm is really special. it has rounded edges on the material part to make it more comfortable to the skin, and the metal pieces are not exposed so they will not rust from the liquid. Kids will be more accepting of this design because the alarm part has an adorable face like it is a little friend. Quite honestly, the little shape of the alarm buddy looks like a miniature piece of toast because it is square with a rounded top. Really cute! With an average cost, this terrific bedwetting alarm has plenty going for it. The alarm has eight different sounds to pick from, vibration, lights and a sensor that is more delicate to wetness than most others. 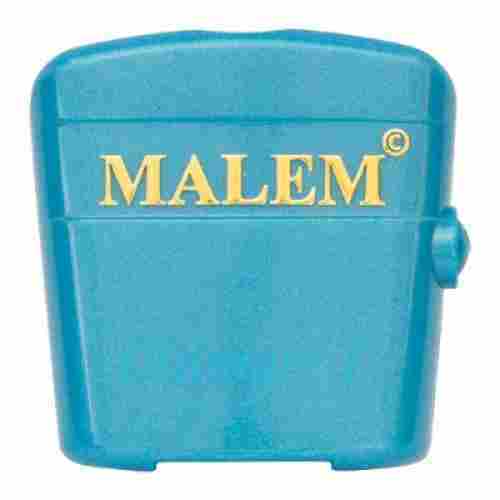 The Malem Ultimate Bedwetting Alarm will wake even the child that sleeps very deeply because it has sound, vibration, and light to arouse them. Offered in three different colors of light blue, purple, and pink, this great alarm weighs only one-ounce and is just two-inches across. It comes with a one-year warranty, is registered with the FDA, and has the CE Mark of approval. Lightweight and comfortable, this remarkable product features the technology of Quick Detect and Secure Grip. It will detect the very first urine drop to rapidly alert the kid as they start to wet the bed. The Secure Grip holds the sensor on the clothing and will not fall off in the night as taped sensors will. Proven effective in clinical trials, the vibration is strong, and the sound is loud. This outstanding alarm includes a switch that is tamper-proof to set the mode sound only, vibration only, or a combination of sound and vibration together. Each setting has a flashing light along with it to wake the child from sleep. Malem has been making and selling these alarms for over thirty years. Currently, they produce over twenty various alarms for a variety of needs. This one comes with a downloadable app for instructions, tips, videos, and FAQs. Because of the Quick Detect technology of this wonderful device, kids will be alerted at the very first hint of urination in the bed. This will give them time to get up and finish correctly. You can choose to have this alarm do three different things to wake the child. It can either vibrate, sound, or sound and vibrate together to let the kid know it is time to go to the bathroom. This bedwetting alarm cost more than the average for these devices. Its fantastic qualities are the options for the alarm settings, the small size, the helpful downloadable app, and the company’s long-standing reputation. TheraPee is the original product sold by the bedwetting clinics of Dr. Sagie. It is FDA registered and CE Mark approved, plus it comes with top-of-the-line videos and software. This is the safest and most advanced pad and alarm device offered currently. The interactive program will lead you through the online process that will deliver and design the guidance to get you and your child started. Perfect for ages four to eighteen-years-old for bedwetting problems, this impressive bedwetting solution gives you personalized care right at home with the software advanced. The program is customized for each child based on the given information you put in the system. It incorporates the experience of doctors that have treated collectively over 40,000 children and adults with bedwetting problems. TheraPee is a complex system that was created from much experience from doctors handling bedwetting patients. You can now benefit from the expertise that is in this terrific program and product. The alarm for this product comes with a pad for the sensor. Instead of having the sensor attached to the underwear of the child, this one detects the drip of urine with a pad that does not attach to the kid. This is the costliest product we feature on this page. Because of the huge amount of research and medical experience that went into this alarm system, it is well worth the greater cost. The sensor is locked in place with a toggle clamp on this wonderful device. It can detect the very first sign of wetness from the child and wake them up. The DryEasy Bedwetting alarm with Volume Control includes six-alarm sounds to change about frequently. Changing the alarm sound will not let the child get used to one particular sound and ignore it. The volume control has four various levels, and this mechanism is very easy to use and operate. It is also reliable, versatile, lightweight, and durable, so it is one of the best products on the market for bedwetters. You can set the mode for vibration only, sound only, or vibration and sound together, plus it is CE certified and FDA registered. Alarms that have multiple alarm sounds are useful, especially for long-term practice. When kids get used to a particular sound, you can change it so they will not just ignore the alarm. Plenty of kids are scared of these alarms in the middle of the night, but this one has a volume control. With four levels of the volume, you can pick the one that will do the job, but not make the child frightful. 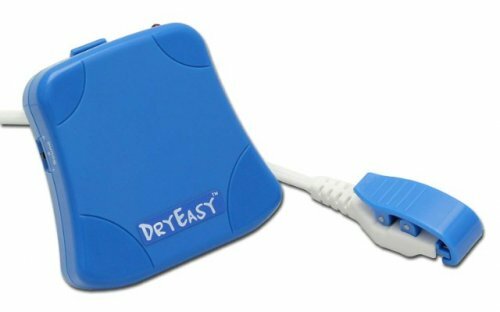 Costing well below the average for bedwetting alarms, this DryEasy item is quite worth the price because of the choices in alarm sounds and volume levels to customize it to what your child needs. With one drop urine detection, this bedwetting alarm is great for detecting an accident at a moment notice. The mat is comfortable and covers a large area. The special technology used with this mat can detect urine faster and with less than any other sense that you place on them. The large mat covers an area of 21 inches by 17 inches. It allows you to be alarmed with the first drop of urine hits the mat. The mat is easy to use and features a cover that is washable. The sleeve can be reused over and over plus is constructed from a material that is comfortable when placed under a cotton sheet. Inside the mat, there are 20 different pairs of sensors that detect urine. These sensors will not corrode and will prove to be accurate night after night. The alarm features selectable tones, volume control, and even a setting for vibrate mode. It alarms the sleeper with a two-step alarm that is able to wake up even the heaviest sleepers. Place under your bed wetter and set up the alarm in the best settings for them and over time it is proven to help them become a dry sleeper fast. 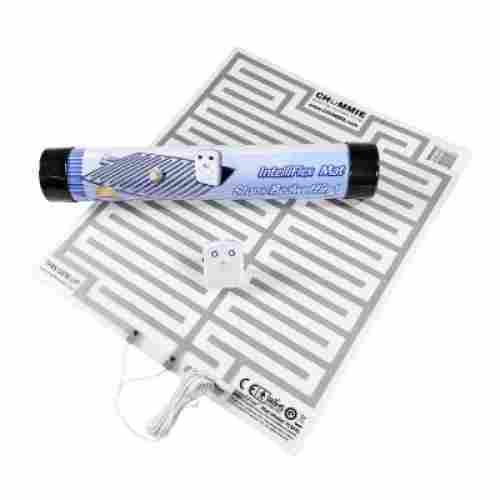 The mat features 20 different pairs of urine sensor strips. These sensors are able to detect the first drop of urine and it proved to move accurately that any clip sensory. The extra-large mat covers a large area that helps you detect the urine fast and be alarmed quickly. Great for training a bedwetter to wake up. The mat covers a large area and is very sensitive. The two-tone alarm system quickly wakes them up. This great alarm is just under the average in price but is a widely effective device for waking bedwetters promptly. Unlike most other devices, this mat has an extra large coverage area that is directly on the bed and does not have to be worn. With more conveniences and settings than any other bedwetting alarm system, this 3rd generation alarm system is one of the greatest. It features a long-range wireless system that allows the alarm to be 200 feet from the bed. It is true to a wireless system that offers great performance. 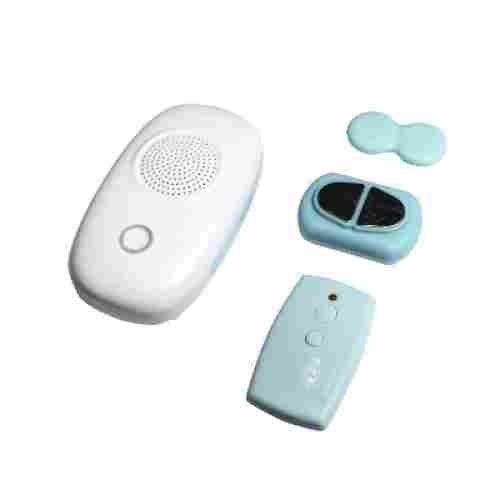 The alarm is able to get the attention of the user quickly with the loud sound or music setting plus there are also vibration settings as well. With this wireless system, you are able to use more than one in a household. They are easy to use and the simple operations are easy to set up daily. The remote or using the alarm console is simple. There is even a one-button control. 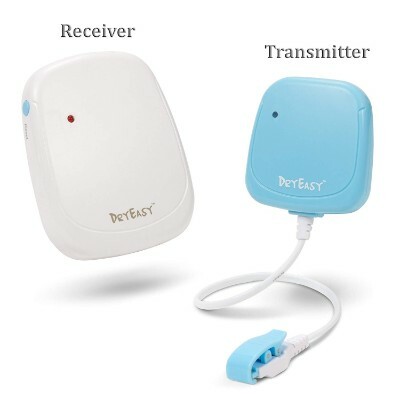 Break away from the wires and get safer with this bedwetting alarm system. The strong alarm along with the easy to set system will allow you to train a bedwetter in no time. It has been designed to be convenient and comfortable for the user and attaches easily to any set of cotton briefs. Usually, when you think of bedwetting alarms you think of cords and lots of wires, but not with this system. It is a truly wireless system. It is easy to use and features a remote. No more worrying about your little one getting tangled in the cords at night. This wireless system is great for users that move a lot in their sleep. 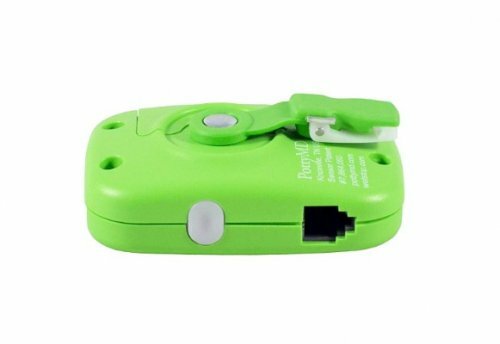 A wireless system that is easy for adults and kids to use. The system is easy enough with the remote for even the kids to be able to set it at night before going to bed. Makes it simple to use and can be used with any type of cotton brief. Great choice for the price. The wireless system is great for kids that move around a lot. Great system for the average price of a wireless system. 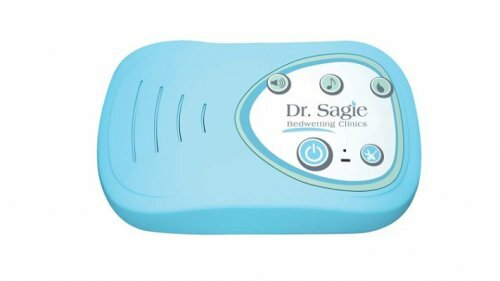 Simple to use, safe, and effective, this impressive bedwetting alarm has four levels of volume to customize the setting and six sounds for alarm choices. It does not require a wire to run from the underwear to the sleeping shirt as other alarms do. The receiver does not have to be on the child because it can be put on the bedside table instead. It attaches to the underwear with a toggle clamp that holds in place securely. This fantastic alarm detects the initial urine drops and alerts the child. 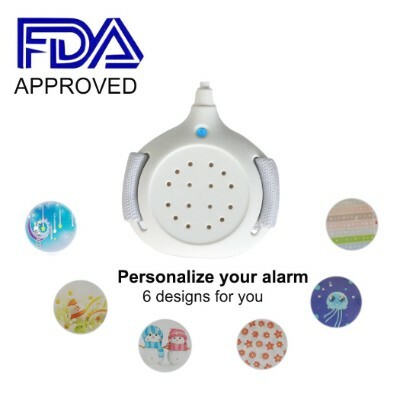 The different alarm sounds can be chosen or played at random for a variation, plus this great device has CE certification and is registered with the FDA. Some of these alarms really scare kids if they wear them close to their ears. This one does not have to place in close proximity to the head and can be placed on the bedside table. While some alarm systems have to be taped to the underwear, this one has the strong toggle clamp to hold the sensor in place. When kids move in the bed a lot, something that holds tightly is needed. Fairly close to the average cost of these devices, this terrific alarm is valued for it many sound choices and volume settings plus the sturdy toggle clamp that holds the sensor to the underwear well. 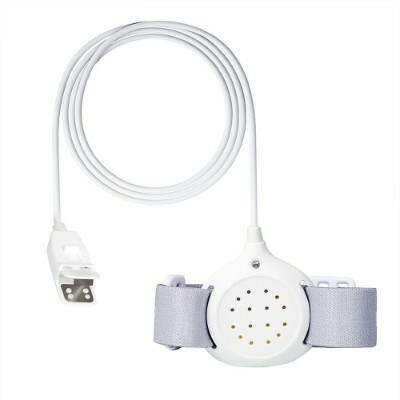 Tested in the United States, the Bed Buds Alarm secures to the underpants and arm for all-night monitoring. It will awaken the child with vibration, sound, and blinking lights when he or she starts to wet the bed. The alarm is audible enough to arouse the child but not so loud that they are scared or startled. Most results are experienced in just two to three weeks. 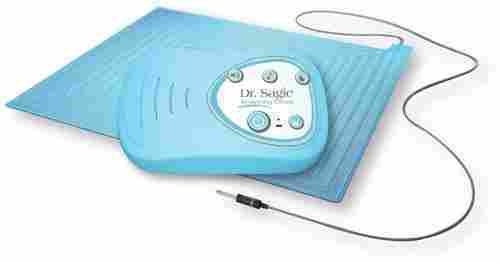 This wonderful alarm is a top-selling product and has been urologist tested. It attaches on the outside of the underpants and the arm and is made especially for deep sleepers. The Bed Buds Alarm works adequately as well on teens and adults too. 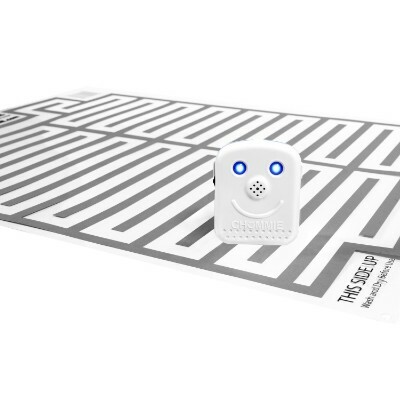 It includes two sets of batteries for operation and stickers with a progress card for success, plus features the SmartClip sensor. The sensor can be cleaned easily because it has a simple design. This is a versatile user-friendly alarm system that is highly-effective and proven to work well. Most alarms for such products are either too loud or too low for the kid to hear it. This one has the perfect loudness that will wake them, but not scares them half to death in the process. This is one of the faster systems to get your kid in the habit of waking and going to the restroom in the middle of the night. In just a few weeks, your child could have the hang of getting up by themselves on time. This item is the lowest in the price of all of these alarms. Its superb qualities are that it has lights, sound and vibration to wake the child, plus it works in just two or three weeks. The Cumizon Bedwetting Alarm begins the habit of waking up in the night to go to the bathroom. With vibration and sound it wakes the child at the first indication of moisture, so they can finish going in the bathroom. It will set your kid on this path in four to twelve weeks’ time with nightly use and aid them in sleeping dry and overcoming bedwetting. They will not be ridiculed by friends and family any longer because it helps them be aware of their bladder function at night. This simple highly-functional alarm increases self-esteem and confidence and works for both boys and girls equally well. This natural approach is doctor recommended and safe and works without medications. It is perfect for deep sleepers, plus builds and enhances the bladder-brain connection. This terrific bedwetting alarm is functional for babies, children, and adults and is registered and compliant with the FDA. The fabulous features are a Loud Sound audible alarm, LED light and vibration indicator, a moisture sensor that clips to the child’s underpants, and one-drop technology detection. The senor will not pinch or poke the user, and the alarm is on the adjustable armband to ensure a comfortable sleep. It helps the full bladder make the connection to the brain that it needs to be emptied. This wonderful product comes with stickers and an achievement chart for daily monitoring of dry days to encourage children to not wet the bed. After some time of using this system, kids will have their brain and bladder in sync, so they can wake when the brain gets the signal that the bladder is full. It just takes some practice in setting the pattern. This great alarm works just as soon as the child starts to urinate. As soon as the detector senses this, the alarm goes off to make the bladder shut closed, so the child can get up and finish in the bathroom. Being one of the more economical items here, this bedwetting alarm has the valuable features of the armband alarm, an achievement chart, and an alarm with both vibration and sound to wake the child. Bedwetting is very common among children and causes major sleep distrubtion. Luckily, children usually respond considerably well to bedwetting alarms. The product recommendations are based on numerous customer experiences, as well as research and analysis. We highlight only the best products for each category on our pages to enhance your buying experience. We want you to have all of the information you need of the top products that customers love, so you can decide which one is best for your family. 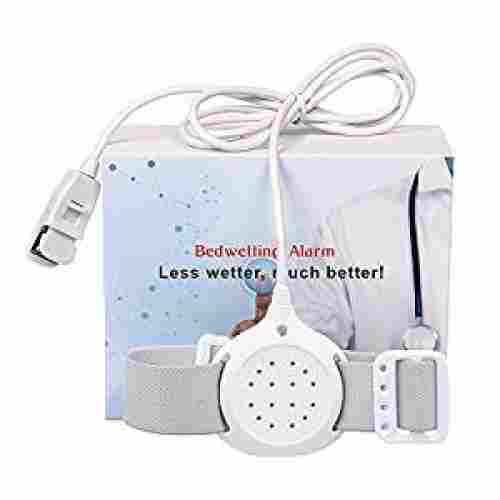 With the best ratings online and the most reviews from customers, these listed bedwetting alarms are the best of the best that manufacturers are offering currently. 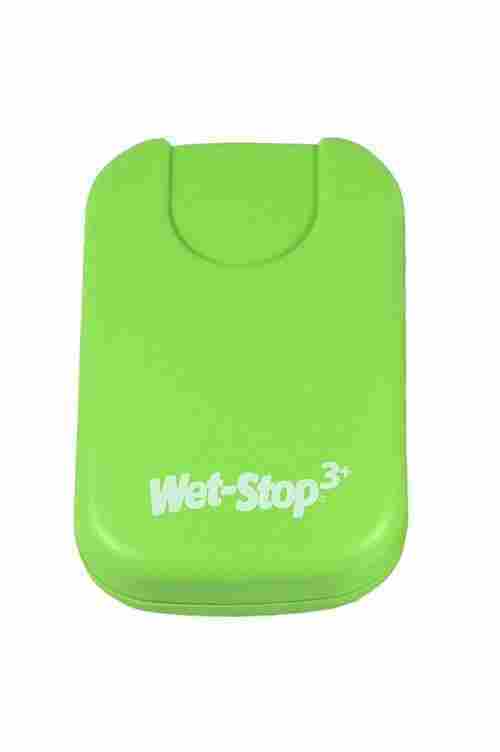 The alarm that has the most reviews is the Wet Stop3, and the one with the highest rating is the TheraPee. They are both outstanding products worth considering for your child. Bed-wetting alarms are the safest and most effective treatment for bed-wetting. Although the alarms are made of the same basic elements, there are small differences among the models. When used consistently, the alarms are usually successful. Your child should be ready for all night dryness on their own in just a matter of weeks. Some customers said their children had learned to get up without the device after just a few days. For most that 85% of kids, these alarms work fantastically. Others will need more training and have to use it longer. It really depends on how sound the child sleeps. For deep sleepers, it will take longer to get them used to getting up in the night. These bedwetting alarms do teach the brain to be more respondent to the signals of the bladder and make the child wake up. Bedwetting alarms are relatively easy to use since the alarm is attached to the underwear of children and the alarm worn on the shirt or the arm. Children should be encouraged to drink enough liquids during the day and to use the toilet regularly. Each of these wonderful bedwetting alarms can be put on and taken off quite simply by the adult and the child. The sensor attaches to the underpants of both boys and girls, so it is close to the urination spot. The alarm is worn on the shirt or the arm of the child near the face. In this way, the alarm can be hard and not ignored. Both pieces are easy to get off to go to the bathroom, and then to put back on again to go back to bed. It will take some practice to get the hang of putting it on and taking it off. The price of bedwetting alarms depends on the quality and the age of the customers. The quality can be determined by the feedback received from customers and the description of the manufacturer. We let you know what exactly makes the alarm worth the price that it costs based on the manufacturer’s description of the product and the feedback from satisfied customers online. The costs vary greatly in this category, so be sure to analyze each product for the terrific qualities it has before deciding on a particular one. The alarms are easy to hide under the pyjamas, as they are small and light. The vibrating mode helps children avoid feeling uncomfortable. The alarm sensor requires being cleaned up with every contact with urine. 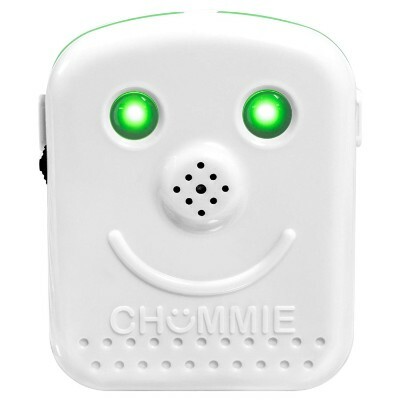 Some of the alarms might scare the children or be uncomfortable to wear. These superb devices should outlast the time that the child needs the bedwetting training. The kid should be finished with it in several weeks, but the mechanism will last for years. It can be used for other children in the family or kept just in case the parents have another child. They can be used time and time again because they are constructed of sturdy materials that will take constant use. The sensor is just rinsed after each use and then washed periodically to keep down bacteria. No special care is needed for the alarm, but to keep it stocked with fresh batteries always. q: Can children and babies wear diapers or pull-ups instead of regular underwear for these alarms to work? Yes, any type of clothing on the bottom will work fine for the sensor. It just needs a place to attach, so it can be close to where it needs to detect the first sign of urine. q: Do these work equally for both girls and boys? Are any of these gender-specific? Yes, either boys or girls can use any of these great alarms. None of them are specific for gender. q: Are they all battery operated? Yes, these are all battery-operated devices. 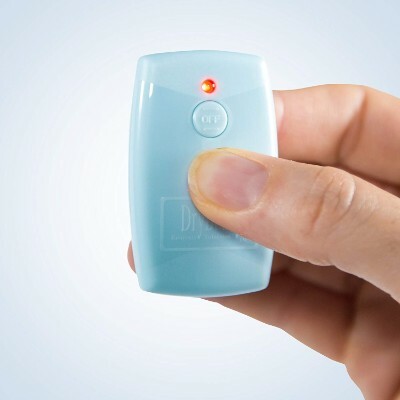 The Tequin Alarm is a rechargeable device that does not have batteries in it. It must be plugged in when the power runs low each time. It comes with its own cable for this. q: Is there a danger if the alarm gets wet, especially where the batteries are located? The batteries should not get wet at all because the alarm part is attached to the arm or the shirt of the child. Only the sensor will get wet with urine, and that can be rinsed and washed after each incident. There should be no problem even if the alarm did get wet, but not submerged in water or urine. q: How soon does one of the alarms work so the child has a dry bed all the time? The various models all have varying success rates and times, but in general, you should see some progress in the first week or so. Complete training to go to the bathroom every time may take up to eight weeks with some of the devices. It just takes patience and understanding on the part of the parents and the child. q: Should parents monitor these alarms in the night, or should the child be left alone to do this on their own? The manufacturers recommend that parents monitor the child for the first two weeks with these alarms. They will need help in getting the devices on and off for the ones that clip onto the clothes. Smaller kids may need help longer, and it may be beneficial for the parent to sleep in the same room as the child during this time.